which domain name should our charity get? The prime objective of any charity is to raise awareness of its cause; one of the main drivers in achieving awareness is online marketing and the key foundation stone to this is a memorable domain name. It maybe important that an organisation gets the category-defining domain name that represents their objectives, for example, if the charity or organisation represents "diabetes", the ideal domain name would be "diabetes.org.uk". Other examples of leading charities using category-defining domain names include alzheimers.org.uk, cats.org.uk, apprenticeships.org.uk, stroke.org.uk, parkinsons.org.uk, bats.org.uk and nutrition.org.uk. 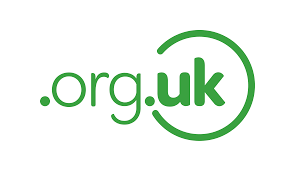 Your organisation may be commonly known by an acronym or it may have a long name or it may have a name that is not easy for the general public to use; therefore, obtaining the relevant acronym or adopting a memorable .org.uk domain name may be desirable. Your charity needs to consider it's long term marketing objectives, the message it is trying to put across to the general public and whether it needs to rebrand; for example, it may want to have a domain name that portrays a positive message, for example, achieve.org.uk or inspire.org.uk. Examples of leading charities using domain names with a positive brand image include skill.org.uk, grow.org.uk and safe.org.uk.